There are some plants that stop you mid-scroll in astonishment. Surely, there is no way that's a real plant. 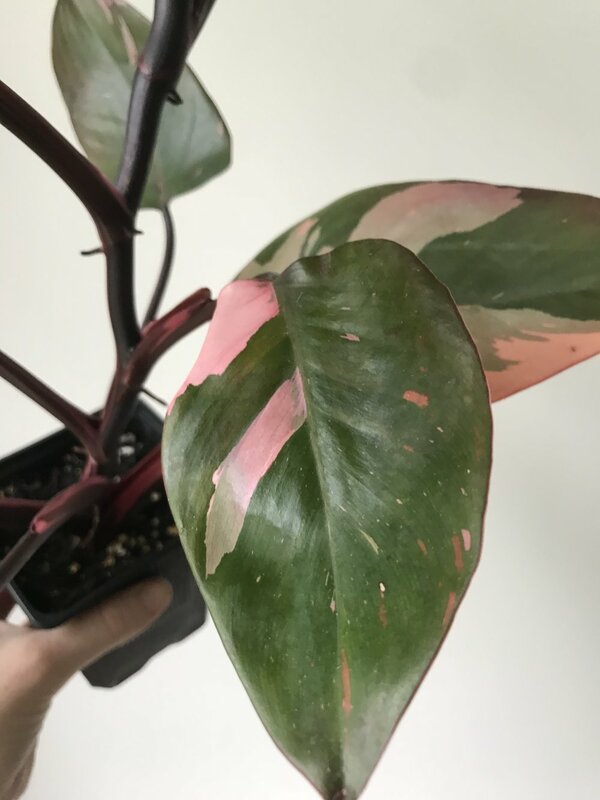 No way does a plant grows striped, hot pink, enormous leaves. But your eyes do not deceive you, that plant is 100% real. I'm sorry to tell you, but this is a really hot item right now and can be difficult to find for sale. I've listed some links to places that I have seen them sold in the past. Logee's - I got my plant from here and I couldn't be happier! local plant swaps or Facebook groups - you never know what's in your area!